Seven tips for adding artwork to your décor, even on a tight budget. Artwork doesn’t have to be expensive to look expensive. Designers use a number of tricks to incorporate interesting and original artwork without breaking the bank. Here are seven tips for adding artwork to your décor, even on a tight budget. 1. Mix and match. 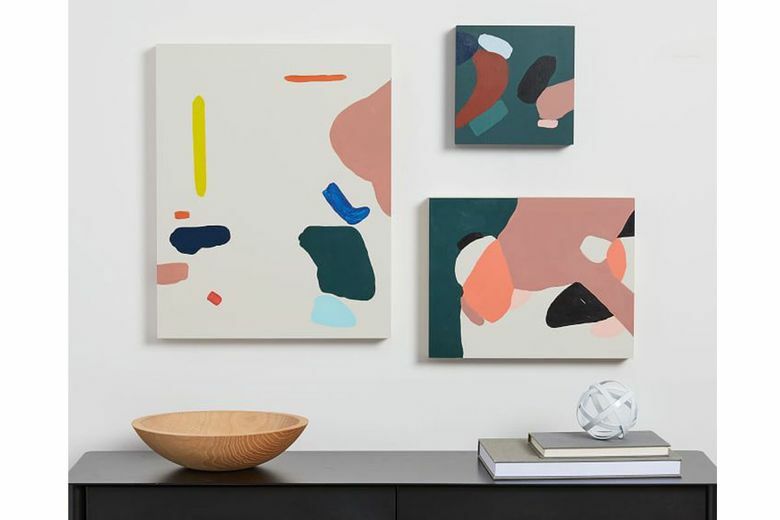 Whether using frames and prints of different shapes and sizes or placing two mismatched pieces of art side by side, mixing it up can create a lot of interest. It also allows you to fill a large space with smaller pieces. 2. Consider mirrors. In many instances, mirrors can be an affordable solution for filling bare walls. 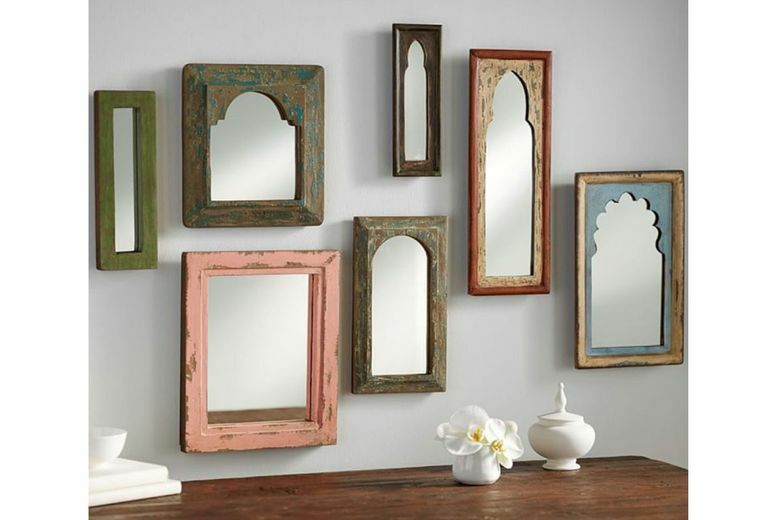 Small mirrors placed in a series or grouping can be a creative and attractive display. A larger mirror can create the feeling of more space in a small room. 4. Use black and white. 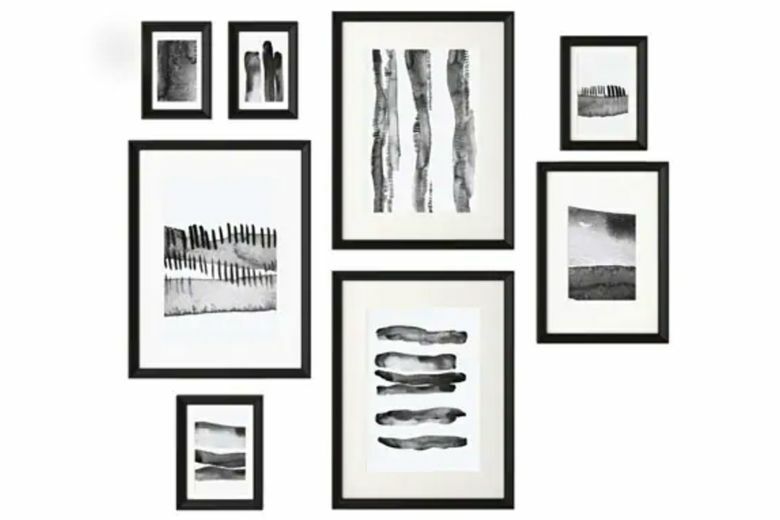 If you are looking for a modern and minimal look, consider black-and-white or even all-white artwork. Photography is especially impactful in black and white. 5. Frame what you have. Posters, postcards, small prints and even wrapping paper can be colorful art solutions for a child’s room or bathroom. 6. Go frameless. 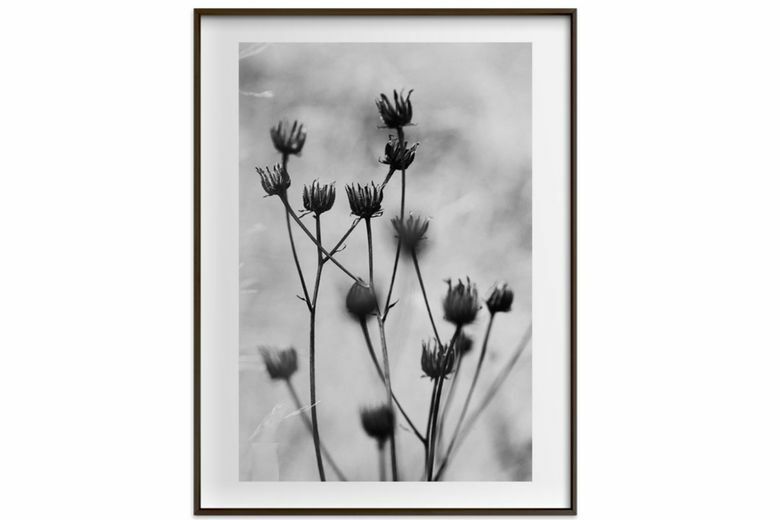 Frameless or gallery-wrapped artwork is an affordable alternative to framing and looks fresh and modern.